Buying a boat can be a fun and exciting adventure, but the process can also be a little overwhelming. 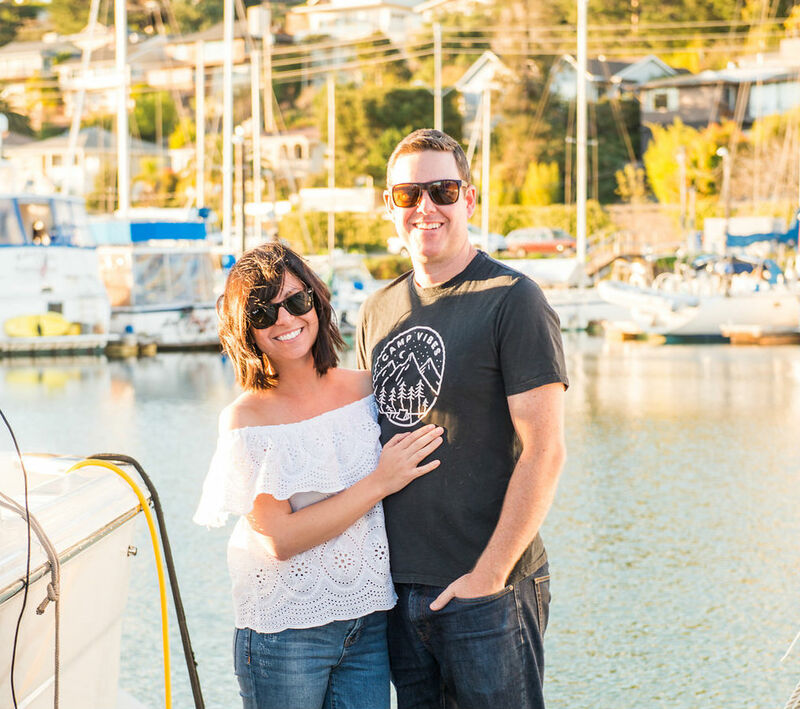 And I know this from experience—my husband and I bought our very first boat just one year ago, and we had our fair share of confusing moments along the way. Luckily, we found an awesome broker to guide us through the buying process. Read on to learn what you need to know about buying a boat, according to real-life broker Rick Peterson. Before you set out to buy a new boat, take some time to reflect on how you plan to use it. “With so many options, varieties, and models available, it can take quite a while to zero in on what you want and what will work best for you,” Rick explains. Are you looking for a weekend cruiser, something you can take on an overnight trip, or a fishing boat? This will impact the types of boats that end up on your short list. Once you have a general sense of your budget and the type of boat you’re looking for, you want to start looking at your options in person. “There’s no way to understand all of the different pros and cons, layouts, designs, and capabilities of each boat model without seeing it for yourself,” Rick says. He recommends checking out a boat show, as they’re a good place to see a lot of boats all in one visit. If you can’t make it to a show, the next best option would be to work with a broker who can get you onboard as many boats as needed. If you need to finance this purchase, you want to get preapproved as soon as possible. This not only clarifies how much you can spend and your monthly payment amount, but it prevents any snags in the purchasing process. As Rick explains, “When your broker writes up an offer with financing already in place, it signals to the seller that you’re a serious, qualified buyer.” It’s also essential that you have your deposit ready to go, as it can seriously hold up the process if you don’t. Once you find “the one,” it’s time to start negotiating. A broker can help you determine fair market value and get the best possible price. In a perfect world, everyone walks away feeling happy about the purchase price, but be prepared to negotiate. Finding a slip for a new boat can be one of the most challenging aspects of this process—in part because most docks won’t even talk to you until after you complete the boat purchase. So, once you find your new boat, start thinking about where you’re going to keep it. “Finding a slip can be hard to do,” Rick says, “so you’ll want to give some thought to where you’re going to berth your boat. Will you assume the existing slip or move it elsewhere?” And, Rick cautions, if you’re going to relocate the boat, know that availability can be limited. You might not be able to get your ideal slip right at the start. So, keep an open mind and be prepared to put your name on a few different waiting lists. Once you’re in escrow, it’s time to schedule all the necessary inspections. “Due diligence typically includes a sea trial, hull survey, boat haul-out, and a mechanical and engine survey,” Rick explains. “If your boat has a lot of technical instruments, you may want to schedule an electrical/electronics survey, too.” These surveys will give you peace of mind as you move forward with the purchase. They’ll also probably yield a list of repairs, which is pretty normal. During the buying process, you need to get your boat registered to document the change of ownership and its new name. You should also line up insurance and be sure to get your sales taxes paid on time. Once you own the boat, you’ll likely have a list of things that need to be fixed, and your insurance company will want you to take care of them as soon as possible. Now’s the perfect time to build your network of support. The boating community is small, but everyone has their own specialties. “A broker can help you sort through who to call for every type of repair,” Rick says. Rick recommends hiring a captain to help you learn the ropes on your new boat (we did, and it was incredibly helpful!). “A captain can help you learn the nuance of maneuvering your new boat, controlling it at a slow speed, understanding where it pivots from, and getting comfortable with pulling into the dock,” Rick explains. Buying a boat is a fun, exciting process, but it can be a little overwhelming, too. As Rick puts it, “Buying a boat is easier than buying a house, but harder than buying a car.” But, having a solid understanding of the steps you should take before, during, and after.